Fears are running high over the Greek political stalemate and the disruptive impact of this on its eurozone neighbors, with analysts saying the markets will continue to move downwards on Tuesday. Asian shares mostly drop on Tuesday. South Korea’s Kospi lost 0.73%, Japan’s Nikkei Stock Average dropped 0.81%. In China, the Shanghai Composite shed 0.9%, while Hong Kong’s Hang Seng was flat. On Monday, the political deadlock in Greece rattled financial markets worldwide, sending most stocks lower. Political parties in Athens resumed negotiations to form a government, raising concerns that if Greece leaves the currency union, bond traders may demand steeper borrowing rates from other indebted countries. “In Russia the indices will drop even further, tracking European stocks as they are likely to extend their losses amid the Greek situation weighing on investors, with no tangible solution in sight,” says Pavel Yemelyantsev from Investcafe. In Russia, both the RTS and the Micex slumped about 3% on Monday, with most of the blue-chips deeply in the red. Russia’s gas giant Gazprom saw its shares nosedive 5.39%. Banking shares were not far behind, with Sberbank and VTB both losing about 4%. European markets were crippled with mounting fears over the eurozone and a potential exit of Greece from the currency bloc, with the euro sinking to a three-month low against the dollar. 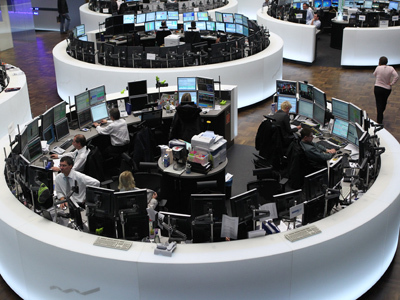 In Frankfurt the DAX 30 dropped 1.94% as the German government faces more gloom in the polls. In London, the benchmark FTSE 100 index lost 1.97% and in Paris the CAC 40 fell 2.29%. Shares in Madrid and Milan plunged by more than 3.0% early on Monday on continued concerns that the two countries could follow suit, falling victim to the eurozone debt crisis, should Greece exit the currency union. 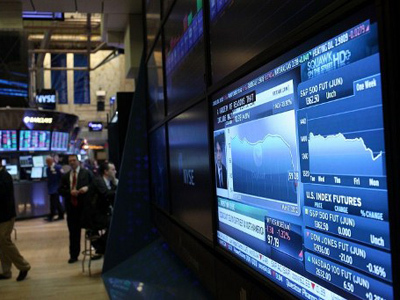 US stocks also suffered on Monday, with the Nasdaq Composite losing 1.07% as investors worried about Greece. 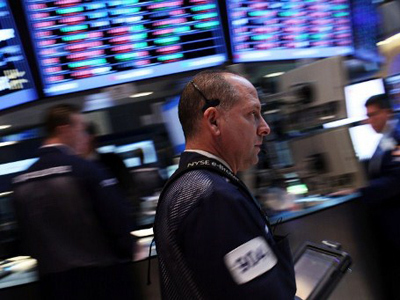 The losses also swept across the Dow Jones Industrial Average as it shed 0.98% with JP Morgan Chase down almost 3% in early Monday trades, as it suffered the aftershock of its $2 billion trading loss, managing however to make it into the black 0.06% by the end of the evening session.